Support from the local community will ensure the best is delivered. If you are in Labasa Town looking for a place to sit and have affordable and tasty pizza then ‘Green Chili Pizza Wine and Dine’ could be it. The newly opened restaurant located op­posite Labasa bus stand is a partnership business between Dolly Singh, Arunesh Prasad and Robin Chand. The name and opening of the business was decided by the trio for their passion for food such as pizza. Green Chili Pizza Wine and Dine execu­tive officer, Dolly Singh said the restaurant setup was done to accommodate individu­als, family members and for every one“One of our partners is a chef and he makes good meals available at affordable price,” Ms Singh said. “Since the establishment is new, our big­gest challenge is staffing. “We are looking at ten staff,” she said. 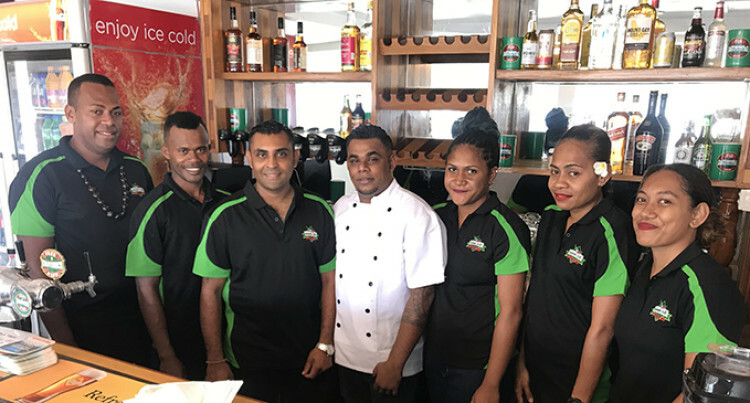 “Restaurant equipment was imported from overseas so getting it shipped and having to get it cleared into the country and then bringing it to Labasa was another challenge. She said certainly in the near future they would expand the business. When asked about the cost of investment, Ms Singh said it cost them a fair bit of in­vestment. Green Chili Pizza Wine and Dine execu­tive officer and Chef Robin Chand said the restaurant would be opened 10am to 10pm seven days in a week. “We have a conference room where any­one can book for meetings and special gatherings also,” Mr Chand said.